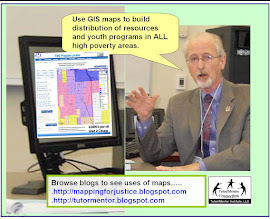 Mapping For Justice: Tutor/Mentor Program Locator Not Working. Use This. Tutor/Mentor Program Locator Not Working. Use This. 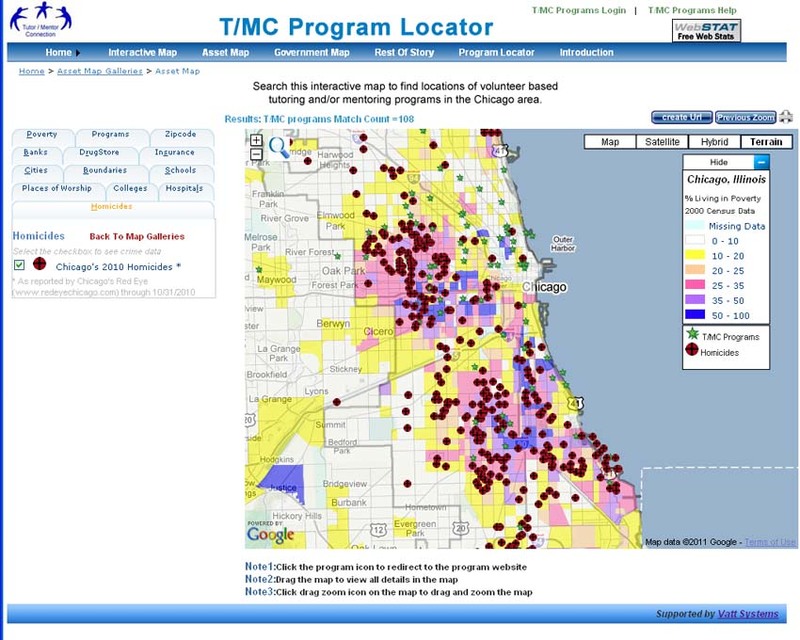 I'm sad to report that as of yesterday the interactive search page, and interactive map pages of the Chicago Tutor/Mentor Program Locator, is no longer connecting to Google maps, and thus not working. If you browse back through articles written on this blog since 2008, or on the Tutor/Mentor blog, you'll see many examples of how I've used the Program Locator to create map stories, and how I've tried to teach others to use this. The Program Locator not working is part of a larger on-going problem that has grown since 2011. I don't have a source of funding or technology/coding support to update the sites and/or fix problems like this. I keep looking for new partners and/or investors, in Chicago or in any other major city in the world, who might want to take part ownership of the work I've been doing, to apply the ideas to their own community. If you know such people, please point them to this blog and to my profile on LinkedIn. In the meantime you can still view locations of Chicago non-school, youth serving organizations on a map, and browse my list of more than 200 Chicago area programs, by visiting this page. 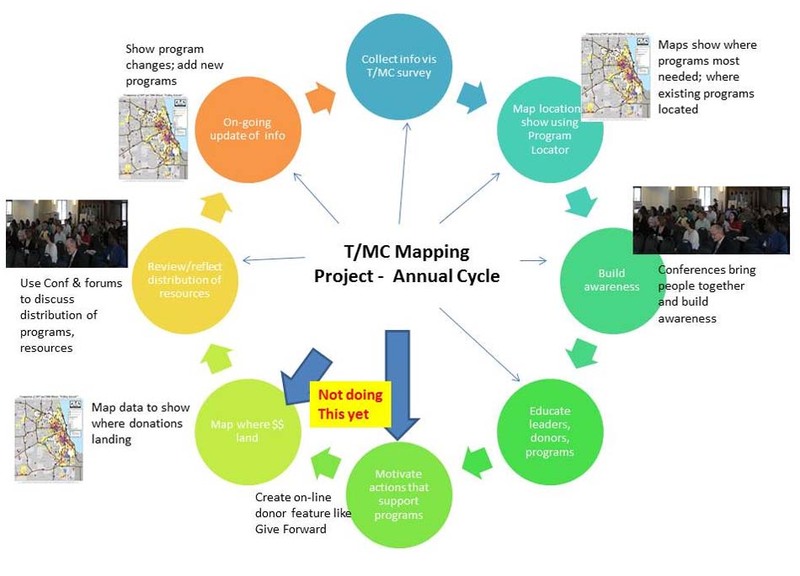 You can also visit this concept map and find several sites that you can search for contact information about tutor/mentor programs in Chicago and other US cities. I started using maps in 1993 and have always been dependent on volunteers who could had the skills to use GIS mapping technology and/or who could put our maps on interactive web sites. I've never had the funding needed to do all that I was trying to do, nor to consistently do any of this work. However, I keep sharing the vision for the Program Locator on several wiki pages.